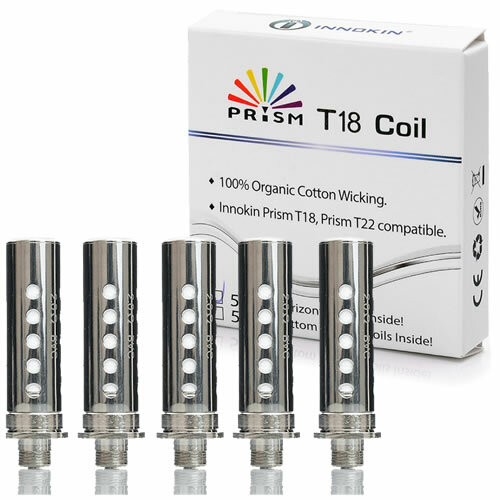 The Innokin Endura T18E Coils 1.5 ohm (5 Pack) is a pack of five ( also available in singles ) ORIGINAL replacement coils for the Prism tank used in the Endura T18E Vaping Kit. 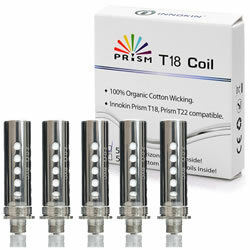 The replacement coils have the resistance of 1.5 ohm and include Japanese organic cotton. Thanks to the 'No-Spill Coil Swap System', they can be replaced in a matter of seconds and with minimal effort and time.